Pinay WAHM: Blackberry Case for Father's Day! Blackberry Case for Father's Day! Father’s day is in a couple of weeks already. We haven’t decided yet what to get big Daddy here. I have no idea right now what to get him. His razor broke a few days ago. It would have been a great gift for Father’s Day but…he got himself a new one already. So shaver is now out of the very limited choices we have. My next choice would be a Blackberry case which he doesn’t really need now because the case he has now still looks new but it wouldn’t hurt to have a spare, right? 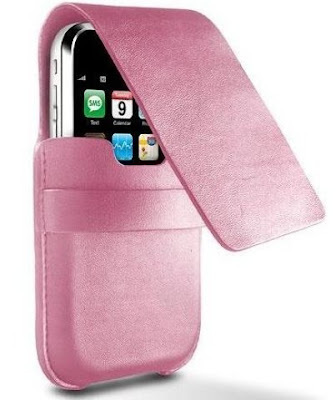 Yep, a pink case for the little one’s iPod. Cool, eh? Now all I have to find is big Daddy’s father’s gift…and some Motorola accessories I want for my cell phone that I am not using. LOL….I will once I decide to have it activated.